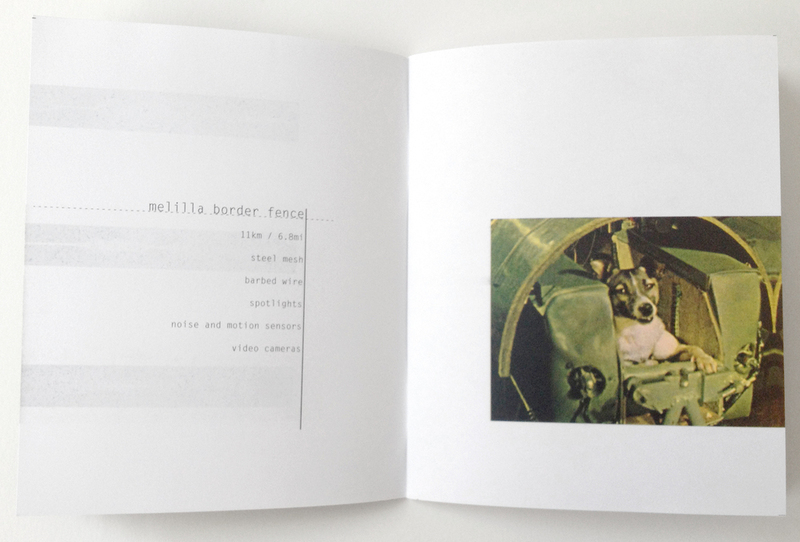 Artist's book (offset prints, staples), 13.4 x 10.7 x 0.5cm (closed), 2016. Hemmed is concerned with the global use of walls as territorial barriers. By itemising the construction materials of these partitions, it maps these structures using the logic of administration. This work considers the many transgressions, whether cellular, atmospheric or technological, that take place at these boundaries.